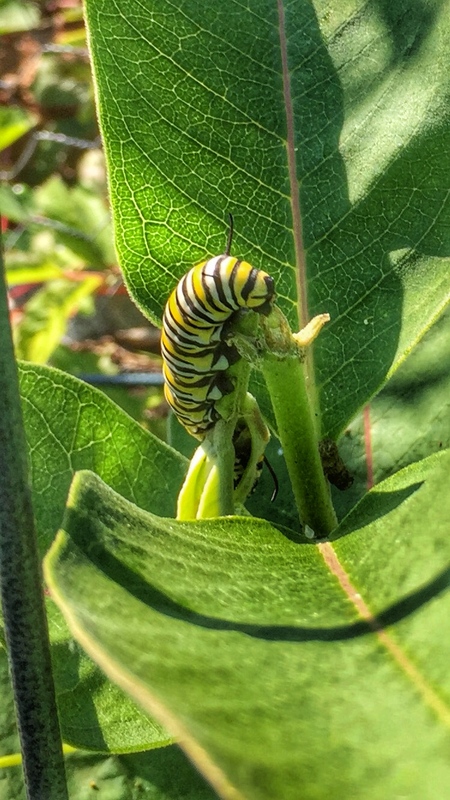 A monarch caterpillar’s magic meadow is the milkweed plant. Mother butterfly lays an egg on the underside of a leaf and the larva feeds on the milkweed plant, the only food it can eat. When mature, the caterpillar migrates away from its milkweed to a high hidden spot where it transforms into a tiny green pupa or chrysalis. It is from this pod that a new butterfly will soon emerge. 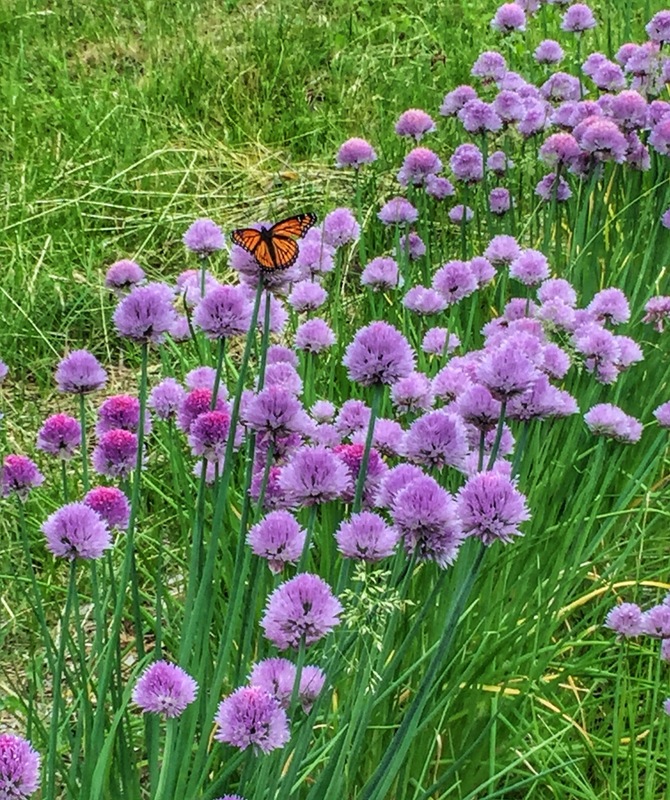 As a species, monarch butterflies have been considered endangered for quite a while. This has in part been caused by human destruction of milkweed (directly and indirectly). 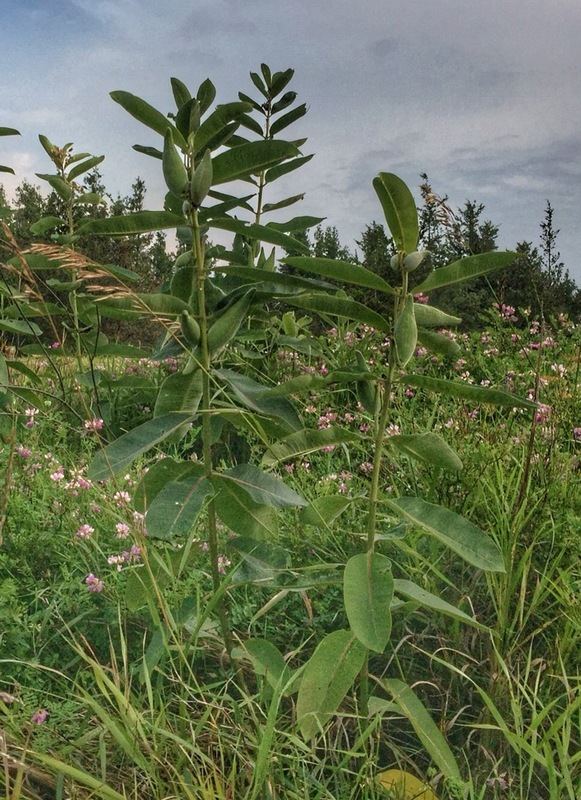 In recent years increased protection and planting of milkweed has had a positive impact. 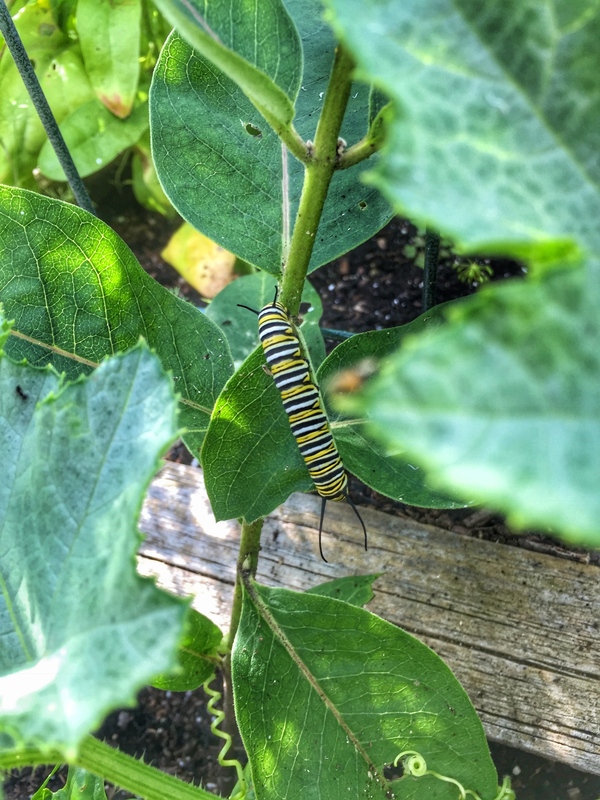 For a summary of the monarch butterfly life cycle and the crucial role of milkweed see mission-monarch.org. Love this. May there be more monarchs. Extra like. Milkweed and monarchs forever.